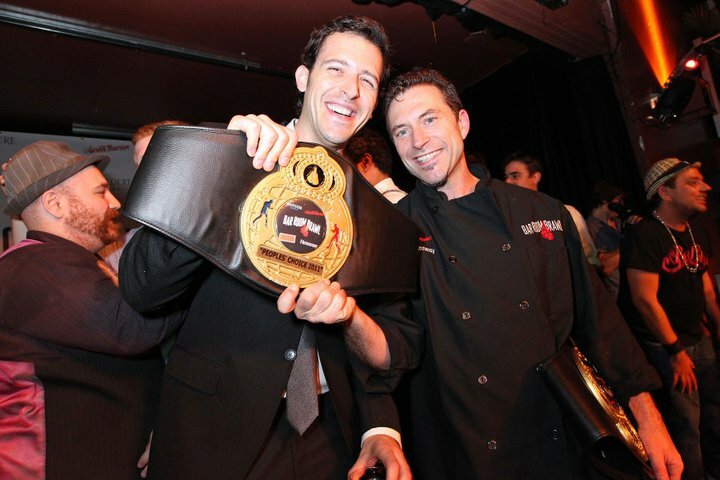 Five bars from around the country entered Generations Hall to do battle last Friday night, but in the end, only one was crowned the 2011 Bar Room Brawl World Champion: Boston’s Eastern Standard Kitchen & Drinks. 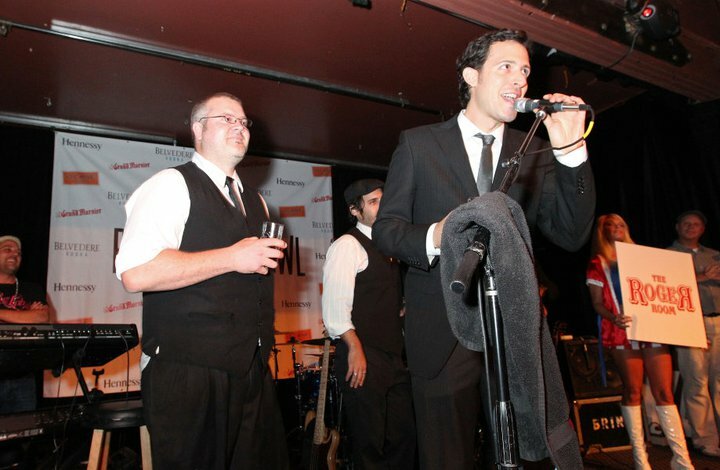 It’s the second year in a row that Boston has won the Bar Room Brawl, one of the highlights of this year’s Tales of the Cocktail. 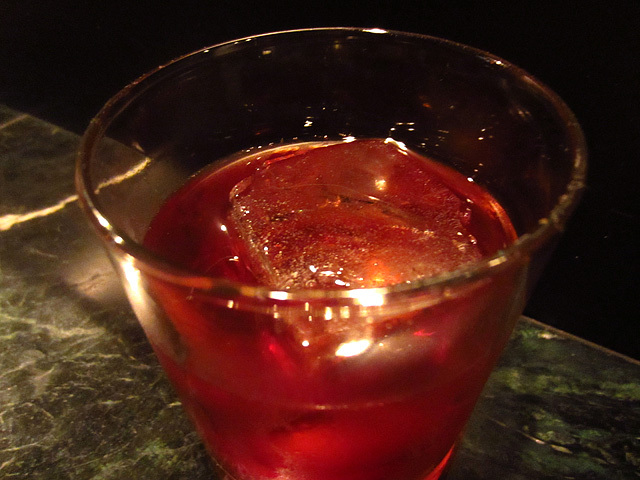 LA’s Roger Room punched its way into a three-way tie for the People’s Choice Award, along with Portland’s Teardrop Cocktail Lounge, and Sable Kitchen & Bar from Chicago. 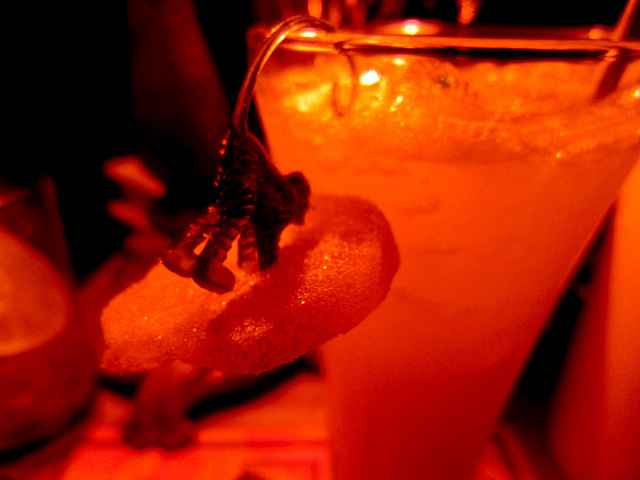 That left New York’s Little Branch as the lone bar without an award, but the Big Apple would make a big comeback the next night. Stations were set up for attendees to vote for the Peoples' Choice Award. 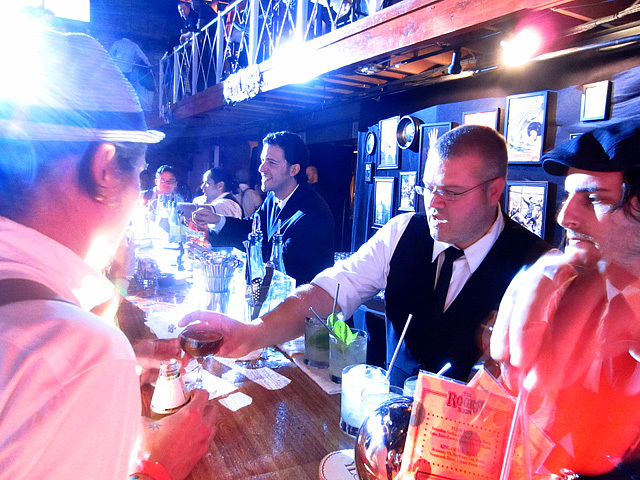 Each of the teams had to recreate their respective bar’s look and serve original cocktails using one of four ingredients from sponsor Moët Hennessy’s portfolio: Grand Marnier, Hennessy, Belvedere Vodka and 10 Cane Rum. 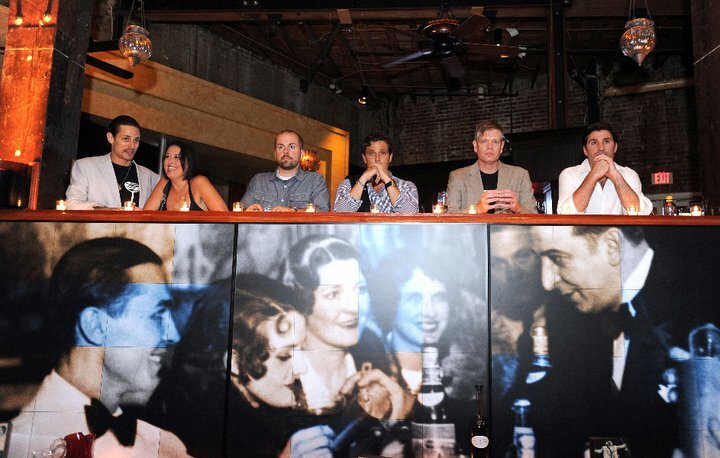 The judges had already tasted the cocktails by the time the thirsty masses had begun to fill the venue; they subsequently observed the competitors under fire to see how their quality of service would hold up under the pressure. The People’s Choice award would be decided by popular vote. 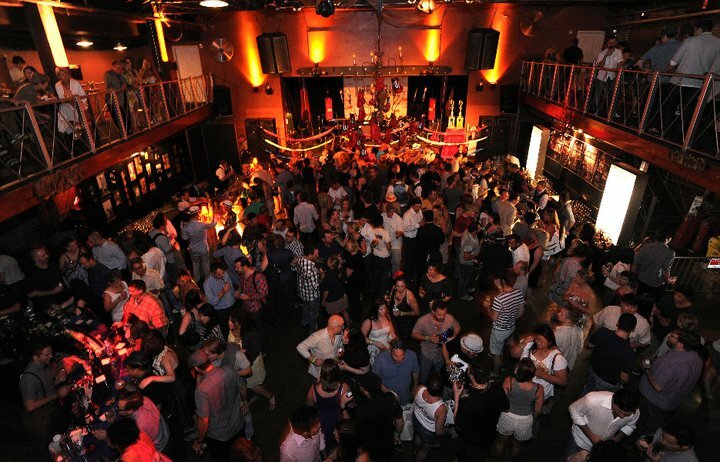 For attendees, it was a great way to experience several of the best craft cocktail bars in the country all under one roof. Perhaps because Boston was the defending champ, Eastern Standard had a prime location in the first room, just inside the entrance. Roger Room and Sable were across from each other in the main area, while Teardrop was off to the side. Little Branch had an unfortunate spot in the transition area between the two areas; it took me several passes before I realized they were a competing bar and not just another one of the service bars. 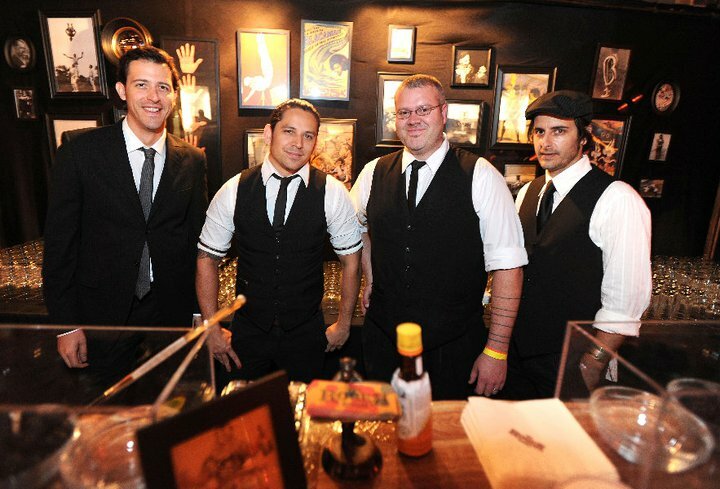 The Roger Room team consisted of Damian Windsor, Jason Bran, and Eric “ET” Tecosky (of sister bar Jones), plus one of Roger Room’s owners, Jared Meisler. Two of the competition drinks were modified from the current Roger Room menu: the Four Aces (Belvedere Vodka, crushed grapes, basil, lime juice, Canton Ginger Liqueur) and the Spiced Mule (10 Cane Rum, fresh ginger juice, vanilla, cinnamon, nutmeg, lime juice). 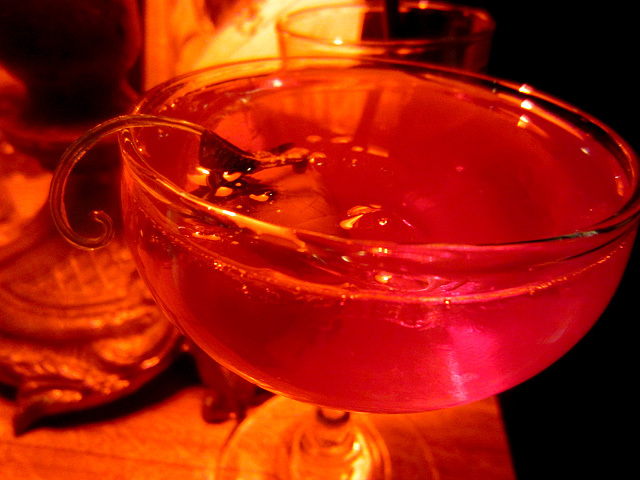 The other two drinks were lesser known cocktails from supplemental menus: the King of the Road (Hennessy VS, Beefeater Gin, Dolin Vermouth Blanc, Creme Yvette) and the Montesor & Fortunato (Grand Marnier Cordon Rouge, Amontillado Sherry, Carpano Antica, Angostura Bitters). Roger Room in the heat of battle. Hometown pride aside, the Roger Room team did a tremendous job of recreating the bar’s experience inside Generations Hall. The wall of framed pictures, the laminated menus, and the signature plastic monkey garnish holders were just a few of the touches that evoked Roger Room’s interior. Contributing to the familial vibe was the great show of force from the LA bar scene. When the results were about to be announced, raucous supporters gathered in the main room to voice their opinions about who should win. 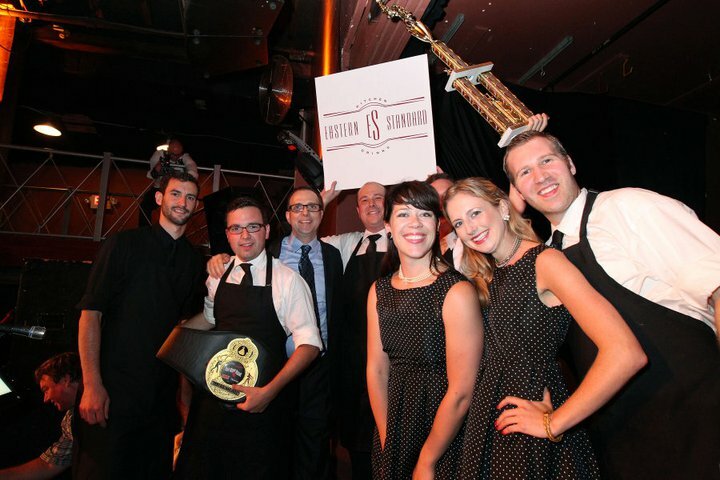 But after all the shouting was over, Eastern Standard had emerged victorious. 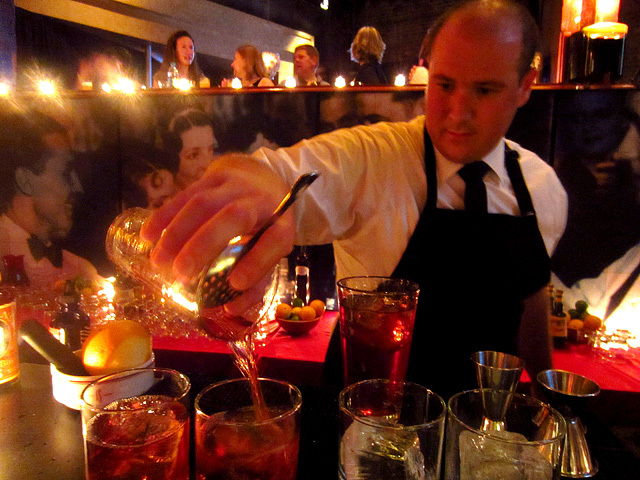 It was a well-earned victory, given the quality of their drinks and the impressive speed and skill each team member demonstrated in making several drinks at once. Emcee Steve Olson then explained that even after three recounts, the People’s Choice Award was a three-way tie. Maybe there should have been some kind of sudden death “mix-off,” but at the end of the night congratulations all around were in order. Thanks to Roger Room’s superb showing, Los Angeles is two-for-two in People’s Choice Awards, following last year’s victory by The Varnish. Who will take the LA bar baton at next year’s Bar Room Brawl? Can Los Angeles finally win over the judges and take the crown from Boston? Stay tuned, friends. 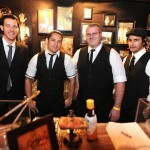 For more pictures from the Bar Room Brawl, visit the Thirsty in LA Facebook page.